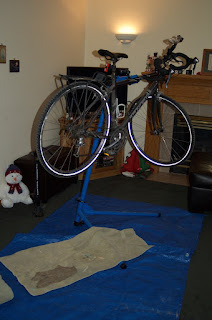 Shallow Cogitations: Doesn't Everybody's Family Room Look Like This? 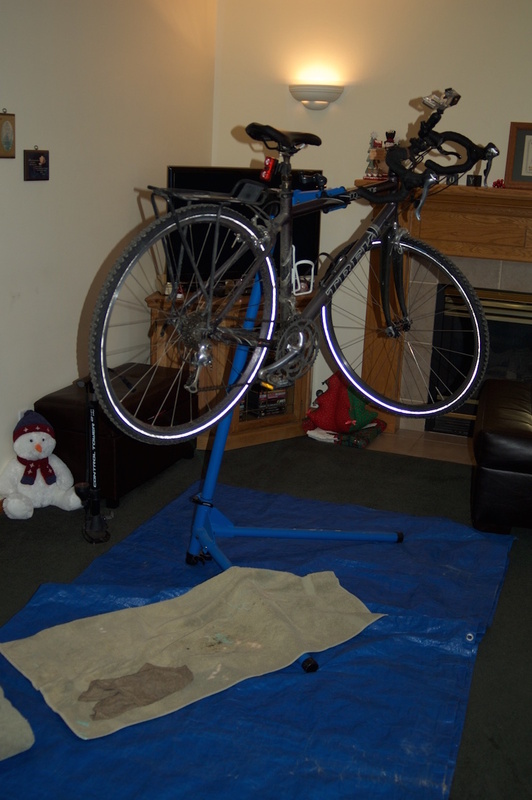 While Kathy was on the treadmill in the basement I cleaned up my commuter and did some work on my mountain bike. I had the room back in order before she came up. Shhhhhhhhh.